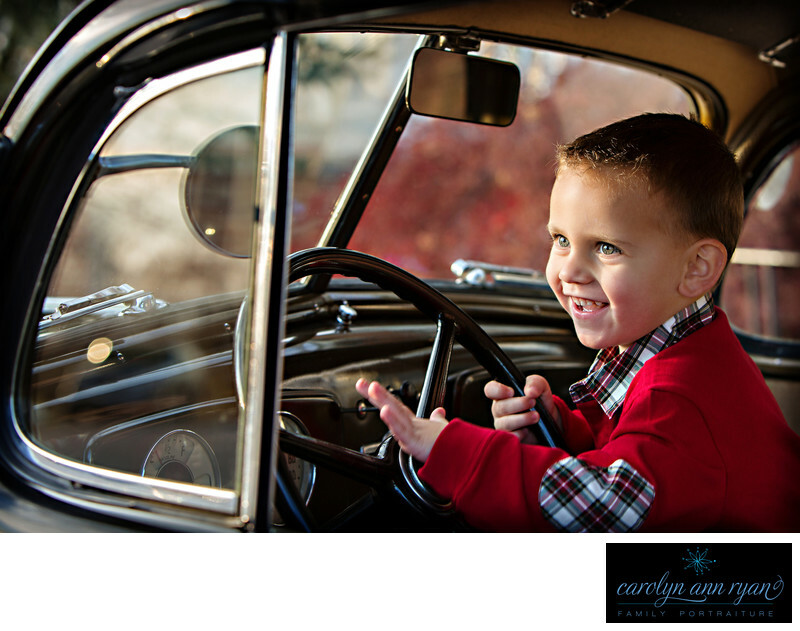 Family Portrait Sessions and old antique cars? Yes, please! I can’t begin to describe how excited I was to photograph an annual client with her father’s 1936 Chevrolet. What do you do when a tired toddler doesn’t want to smile? You let him go crazy honking the horn and pretend to drive Grandpa’s car. This image was one of my first Silver Awards in the WPPI Image Competitions.Keywords: Autumn (117), boys (120), cars (3), Fall (129), giggles (105), plaid (105), sweaters (57), timeless (54), toddler (39), toddlers (45). 1/125; f/4.5; ISO 200; 70.0 mm.